We’re just a few weeks away from the third annual Livermore Innovation Fair. The event, presented by the Livermore Valley Performing Arts Center, will be held Saturday, May 4 from 10 a.m. to 3 p.m. at the Bankhead Theater. 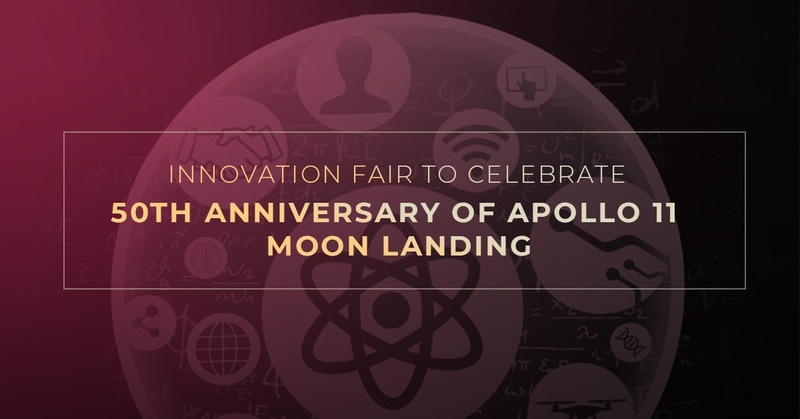 This year’s theme is “Building for the Moon and Beyond” to honor the 50th anniversary of the Apollo Moon Landing. A free, family-friendly event, the Innovation Fair focuses on a continued exploration of the many ways imagination, art, and technology intersect in the world around us. This year, BitsBytes&Pixels will present a new and exciting computer animation film festival, seen for the first time in the Tri-Valley. Part of the world-renowned Computer Graphics Conference, SIGGRAPH, the film festival features award-winning short films, groundbreaking computer animation, and visual effects technology. The event will be paired with an exhibit of artwork created by Livermore school students. Inspired by the hands-on maker movement, the Innovation Fair is designed to energize students in grades K-12 and help make a connection between the five STEAM disciples (Science, Technology, Engineering, Arts, and Math). More than 50 interactive scientific displays, visual art, and technology experiments will be spread across the plaza and inside the Bankhead Theater. The lively environment is equal parts science fair, high-tech exhibition, art show, and community celebration. Hands-on workshops presented by NASA Ames Research, robotics testing, Artificial and Business Intelligence and the popular Virtual Reality Theater experience will be offered throughout the day. This event is free but online registration is recommended to ensure entry. In prior years, more than a thousand students, as well as family members and friends attended this unique opportunity to discover and explore new innovations. The Innovation Fair is made possible through the generosity of its major sponsors, Topcon Positioning Systems, ThoughtSpot, Lawrence Livermore National Security LLC, Black Lab R&D, and Lam Research. We encourage you to check out our education page for more information. Here at the Livermore Valley Performing Arts Center, it’s our belief that all students in the Tri-Valley area should have access to the arts. Throughout the year, we go around putting on performances at school and providing free monthly family events. Our staff also works with visiting artists to organize regular workshops and master classes. It’s worth mentioning that portions of these activities are underwritten through contributions and matching gifts to the LVPAC education fund. While we’ve mentioned this in previous posts, it’s certainly worth mentioning again. Seeing and/or taking part in the arts has the power to transform a child’s life. So whether your child is engaged in a fun activity at school or taking in a performance at the Bankhead Theater, there’s a good chance they will be positively impacted in some form or fashion. For us, nothing beats watching a child light up because of the arts. That’s why we love putting on events such as the Innovation Fair. Every registered person will receive a getaway. Attendees will be automatically entered for fun gifts throughout the day. In the event of inclement weather, exhibitions will be covered or moved indoors. Come see us for the third annual Livermore Innovation Fair!